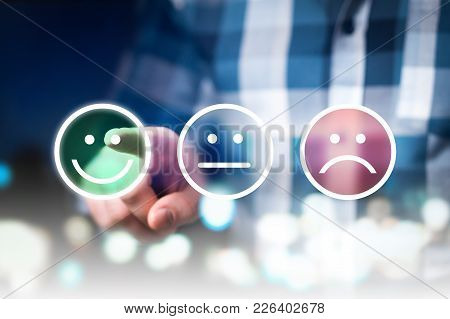 Business man giving rating and review with happy, neutral or sad face icons. 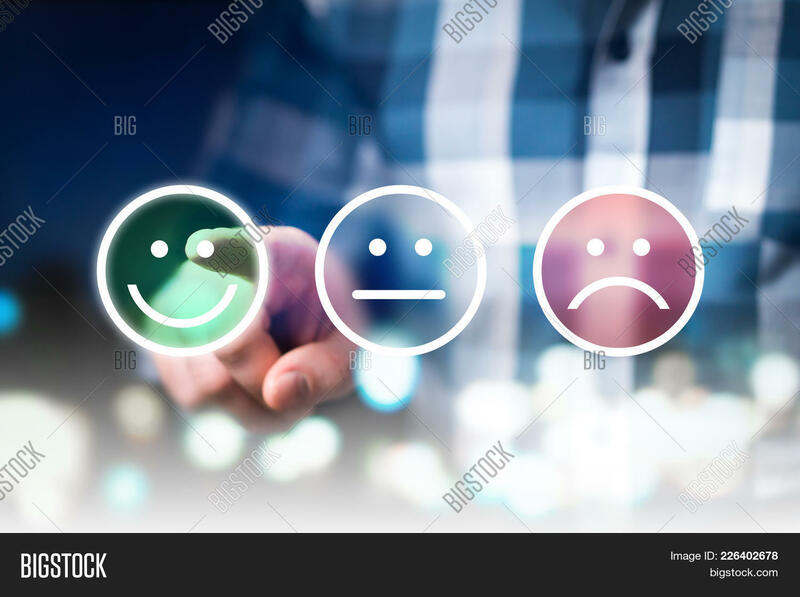 Customer satisfaction and service quality survey. Modern abstract feedback concept.